Project Fame West Africa is run by ultimate production, and inaugural season began in 2008. The production format consists of gala evenings held each Sunday night in prime time and hosted by Joseph Benjamin and Adaora Oleh. In season 7, Adaora was replaced with Bolanle Olukanni. Additionally, there’s a weekly recap show and the Eviction night on Saturday night. In this following, we will show you how to apply for the Audition form that well let you participate in the Audition, but in number two (2) please make sure that all the information you will be given in the application form is complete and accurate. 1) If you are in NIGERIA, SEND Name and Location to 35850 (from an MTN line) to get a PIN.Cost N100. 2) Click www.projectfamewestafrica.com/audition_form.php to download the audition form. 3) Print, Complete and sign the audition form. 4) Bring the audition form to the audition venue. 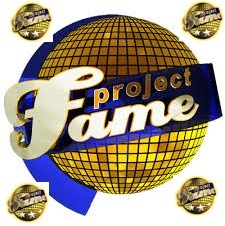 5) Check Project Fame website, Facebook, G+ and Twitter profiles for audition venue near you.